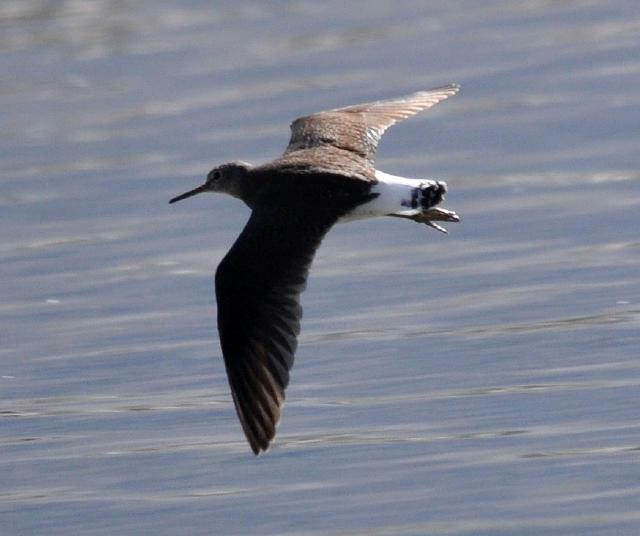 It has no pale breast, like the common sandpiper and no white going up from the breast to the neck. 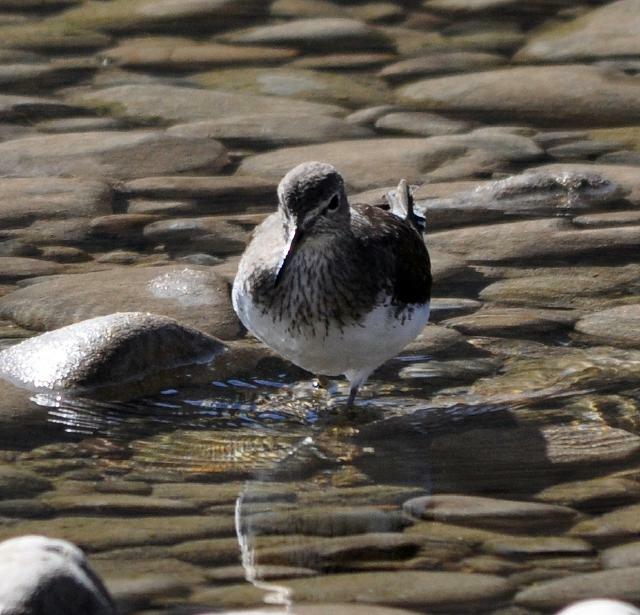 The white eyeline doe not extend behind the eyes, like with the common sandpiper. Flying. 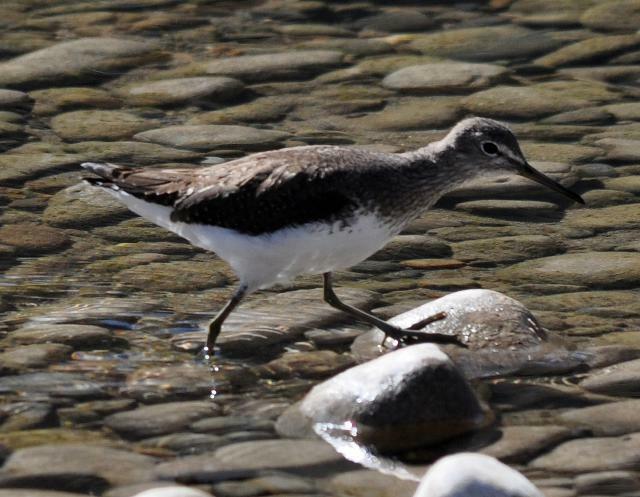 It does not have the white wing bars like the Common Sandpiper. 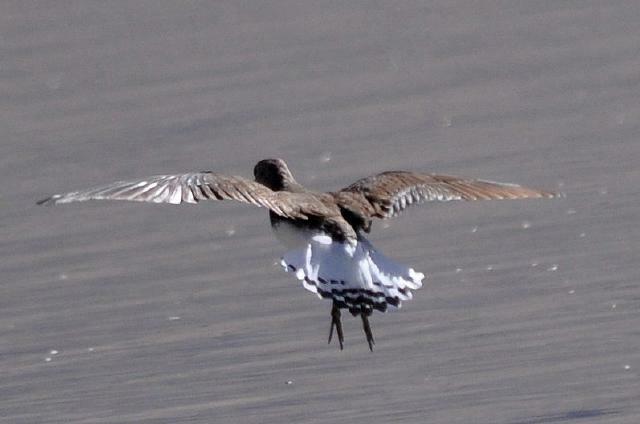 Here the barred tail is well visible.